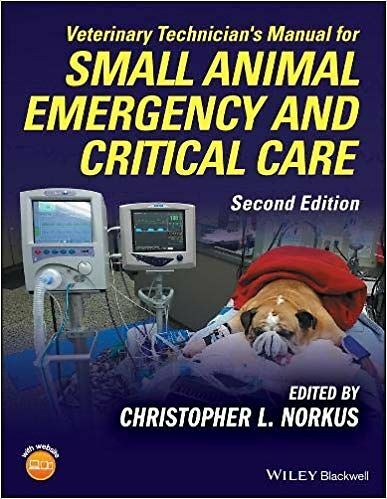 Veterinary Technician's Manual for Small Animal Emergency and Critical Care, Second Edition provides an in-depth and cutting-edge, yet easy-to-navigate, reference on emergency and critical care for veterinary paraprofessionals of all skill levels. Focusing on dogs and cats, with a chapter covering special considerations for exotic pet and avian emergencies, the book contains the most common emergency and critical topics the veterinary technician needs to know. New chapters cover mechanical ventilation, pain management, renal replacement therapy, nursing skills and procedures, and life as an emergency veterinary technician. A companion website offers chapter review questions and high-quality images. The book begins with information on initial patient assessment and triage, and then goes on to cover shock and initial stabilization, venous access, monitoring the critical patient, and cardiopulmonary cerebral resuscitation. A section on specific conditions such as cardiovascular and respiratory emergencies is organized by system, with a final section highlighting select topics like anesthesia, nutrition, transfusion medicine, and critical care pharmacology. 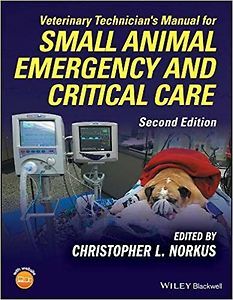 Veterinary Technician's Manual for Small Animal Emergency and Critical Care, Second Edition is an essential emergency and critical care resource for veterinary technicians and assistants, veterinary technician specialists, and veterinary technician students.